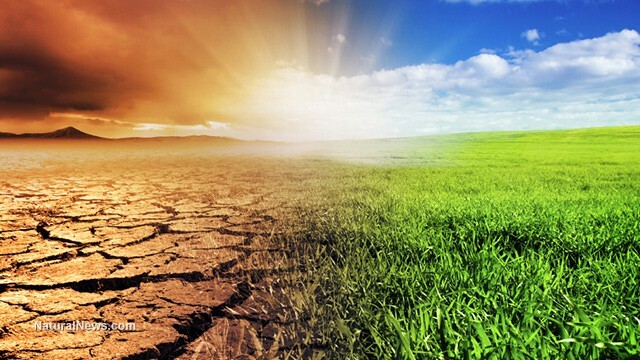 While higher temperatures may bring increased crop yields, they can also easily translate into greater product loss at harvest time. Growers must now be even more focused on minimizing the field-to-packer time span than they have been in the past. If you’re a grower, InterCrates are a mission-critical component of your product logistics strategy and an essential tool in combating Earth’s cranked thermostat. InterCrates are made to take on the heat with ventilation that admits a constant flow of air, with easy-to-clean designs that retain their shape over many seasons, and with high stack-ability with no loss of air circulation. And, unlike corrugated cardboard boxes, our containers resist heat, don’t absorb moisture, and are re-usable. At InterCrate, it’s not one crate fits all. 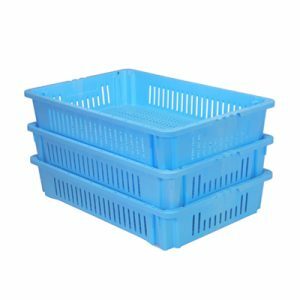 We offer a range of crates and totes, each one designed for specific crops and each offering our field-tested, heat-fighting features. To learn more about InterCrates designed for your fruits or vegetables, click HERE. Take a quick tour to see specific InterCrates and totes for berries, tomatoes, dates, stone fruits, melons, and more. Our crates and totes are designed to provide the protections your crops need. For instance, our Pro-Box features a wide but shallow design for easy rinsing and storing of berries and stone fruits. 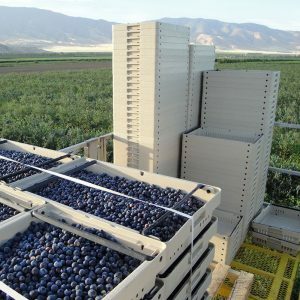 With a stack height of up to 18 containers, you can harvest more and faster without worrying about blocking the vents that minimize heat-related product damage. As the temperatures shift year to year, let InterCrate containers be the flexible asset you rely on. Minimization of product loss in the field plus reusability and increased operational efficiencies make InterCrates your most cost-efficient product-handling investment. Because, when the going gets hot, the thoughtful stay cool.